Check out if Fundacion Escuela Nueva is in The Top 100 NGOs 2013 Edition! Transforming the conventional school system. Replicated in 16 countries worldwide. Having studied sociology and education in Latin America and the United States, Vicky Colbert returned to Colombia in the mid-1970s and designed, alongside rural Colombian teachers, the Escuela Nueva – ‘new school’ pedagogical model – an innovative educational approach aimed at turning around dysfunctional rural and low-income schools to improve the quality of education. Responding directly and systemically to education challenges that arise in communities with poor educational infrastructure, inadequate resources, high teacher turnover, high repetition and drop-out rates, and low academic achievement, Fundación Escuela Nueva transforms the conventional school system. Fundación Escuela Nueva’s strategy includes such aspects as active and participatory learning centered on the child , a new role – and training support – for the teacher as facilitator of collaborative learning, and interactive self-directed, self paced texts and guides. The organization also introduces new elements into the curricula that combine life, social and entrepreneurial skills with academic subjects, presented in ways more immediately relevant to the daily lives of students and their families. As Colbert explains, Escuela Nueva is able to unite “three elements that are often separated: materials, teacher training and methodology”. Evolving from a local innovation into an effective national policy adopted by Colombia’s Ministry of Education in the mid eighties, the Escuela Nueva model has since been replicated in 16 countries across Latin America, reaching an estimated five million children worldwide. 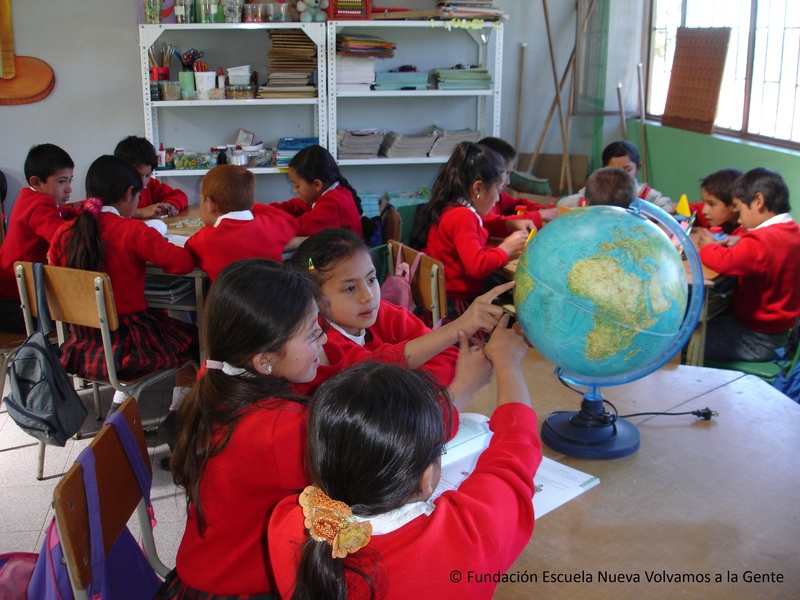 Fundación Escuela Nueva is currently working in Vietnam, East Timor, Panama, Ecuador, Mexico and India to adapt the Escuela Nueva model to these countries and contexts.